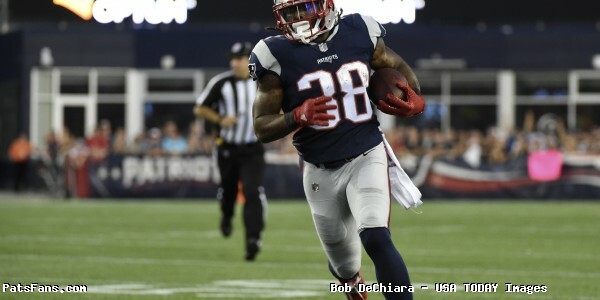 On Thursday, free agent running back Brandon Bolden signed a two-year, $47 million contract to return to the New England Patriots. 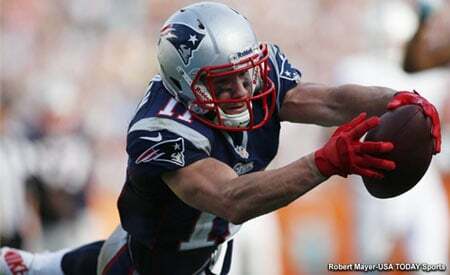 Bolden, originally signed as an undrafted free agent in 2012, spent 2018 with the Miami Dolphins after spending his first six years in New England primarily on special teams and emergency running back. In 2018, Bolden played all 16 games for Miami and 65.9% of special teams snaps. Bolden’s was limited on offense, but scored two of his three 2018 touchdowns against the Patriots during their “Miami Miracle” victory. Linebacker Dont’a Hightower voiced his excitement a short time later. This entry was posted in Patriots Photos, Patriots Twitter and tagged Brandon Bolden, Dont'a Hightower on March 15, 2019 by Robert Alvarez.